Birth date and place 15 May 1812 Sandwich, Kent, England. 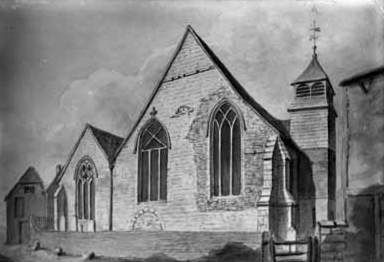 Baptism date and place 14 Jun 1812 St Mary the Virgin, Sandwich, Kent, England. Civil Census Residences 2 Sandy Hill, Woolwich, Kent (1851). Norton Green, Freshwater, Isle of Wight, Hampshire (1861). Margate Cottage, Fir Grove Road, Millbrook, Southampton (1871). Ironmonger Shop, Millbrook, South Stoneham, Hampshire (1881). 116 Shirley Road, Millbrook, South Stoneham, Hampshire (1891). See Musters below (1841, 1851, 1860). Physical Description Height: 5 ft. 8 ins. Complexion: fair. Eyes: hazel. Hair: light brown. 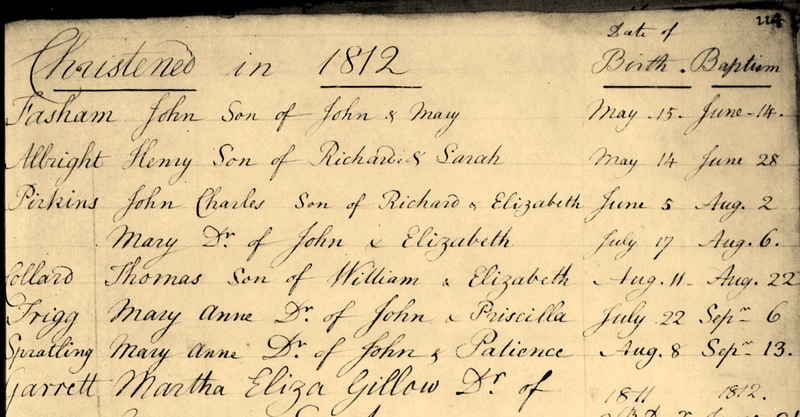 Marriage date and place 1842 Southampton, England. Children John William b. 1850, Hebrides, Scotland. James Frederick b. 1853, York, Western Australia. Frances Emma b. 1855, Perth, Western Australia. Joseph Benjamin b. 1858, Fremantle, Western Australia. Alice Mary b. 1862, Freshwater, Isle of Wight, Hampshire. Emma Amelia b. 1864, Freshwater, Isle of Wight, Hampshire. Lincoln George b. 1869, Millbrook, South Stoneham, Hampshire. Death date and place 1892 Millbrook, South Stoneham, Hampshire. Service No. and Rank #1720 Sapper. Attestation date and place 24 Oct 1837 Rochester, Kent. Service/Campaigns Western Australia 8 years 5 months. Musters WO11-93 Cork, Ireland. With Lt. Robinson’s detachment, Merrick, Kirkcudbright (1841). WO11-130 (1851) to WO11-172 (1860) Western Australia. 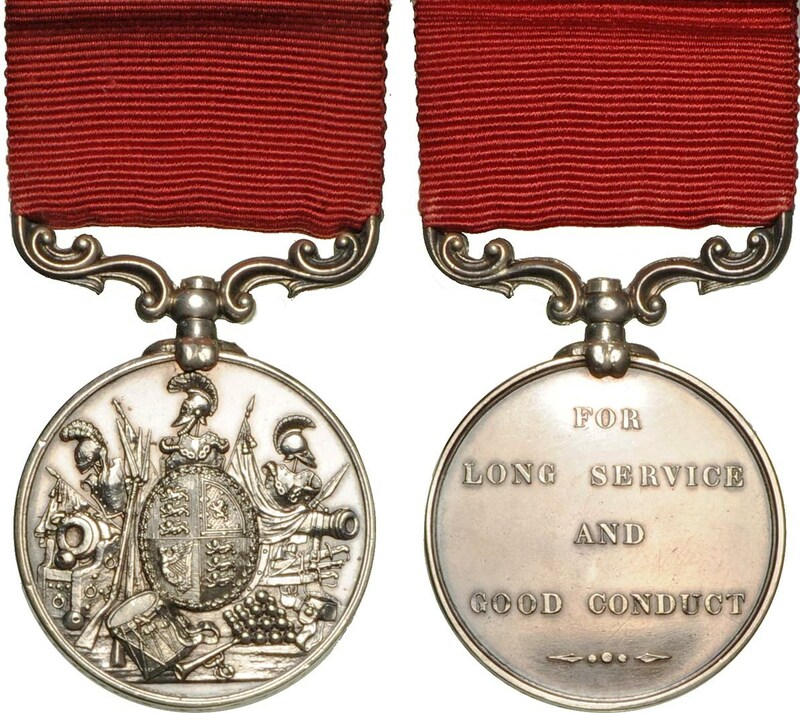 Long Service & Good Conduct Medal (£10 gratuity). 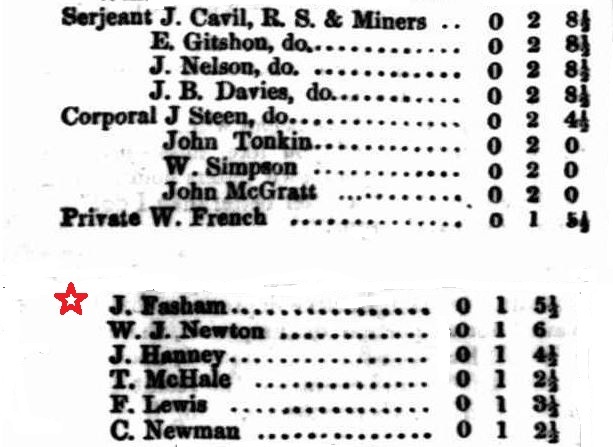 Once entered in the Regimental Defaulters Book. 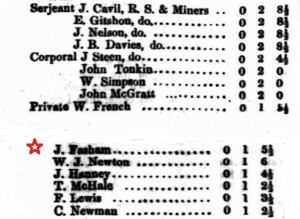 Discharge date and place 18 Dec 1860 Chatham. 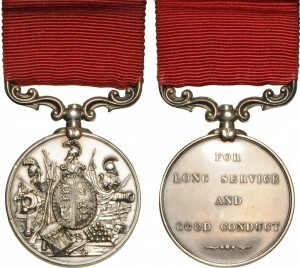 Length of Service 23 years 56 days. Post Discharge Residence Royal Engineer Office, Needles Division, Isle of Wight. Occupations post-arrival in WA Instructing Warder [Barker p.69]. York Convict Depot Mar 1852 to Jul 1853. Freshwater Bay Convict Depot Oct 1853 to Feb 1855. Mt Eliza Convict Depot Mar to Jul 1855. North Fremantle Convict Depot Aug to Dec 1855 (at least). Subscriptions to Funds Nightingale Fund 1857. Newspaper Articles Perth Gazette 24 Jun 1853. Inquirer & Commercial News 1 & 8 Apr 1857. Perth Gazette 15 Jul 1859. Departure date and destination Dep. Fremantle 26 Jan 1860 for Cape of Good Hope and London. St Mary the Virgin Church, Sandwich, Kent. 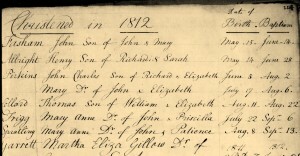 John Fasham’s Birth and Baptism record 1812. 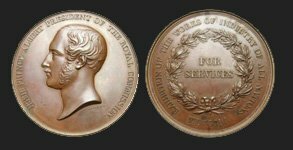 Contribution to the 1857 Nightingale Fund. John Fasham on behalf of his reputation! [Perth Gazette 24 Jun 1853]. 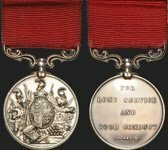 Army Long Service & Good Conduct Medal.